Atid means “future” in Hebrew. At Tikvat Israel we are committed to our children’s and community’s futures by investing in Jewish education, family and youth programming, and Shabbat and holiday experiences. Children will gain an understanding of Jewish values and customs that will be integrated into their home lives through family partnerships. Atid Learning Center is a supplementary Jewish education program for students in grades K-6. 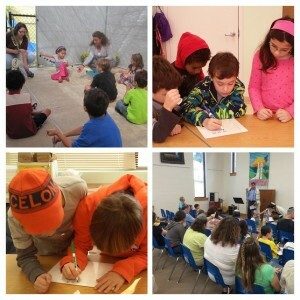 Students in grades K-6 meet on Sunday mornings at Tikvat Israel from 9:00-11:30 am. Grades 5-6 meet Wednesdays from 4:30 -6:15 pm. Students at Atid Learning Center will build a strong lifelong connection to the Jewish community. At Atid Learning Center our mission is to provide our children with the skills to become lifelong leaders in the Jewish community by instilling a sense of kedusha. Our students will gain a sense of pride, understanding, passion, and appreciation for our unique Jewish identity, Jewish heritage, and Jewish life. The curriculum promotes Jewish values, knowledge, and practice through experience and instruction in Hebrew, Torah, tefillah, Jewish History, Israel, Jewish culture (including the arts and music), as well as Jewish observances, traditions, and the celebration of the Jewish holidays. The integration of Jewish values, traditions, and observances into our students’ lives can best be accomplished through attending Atid Learning Center, youth programming, Shabbat and holiday services, attending Jewish summer camps, and at home. To teach Jewish values as a way of life. To teach synagogue skills, including reading Hebrew and understanding tefilot, in order for the student to feel competent and comfortable in the synagogue. To help students begin to develop their personal theology and relationship with God through Torah, Avodah and G’milut Chasadim – acts of loving kindness. To teach our history, cultural heritage, and contemporary Israel in order to foster Jewish identity and participation in the world Jewish community. To teach students that Jewish involvement and education includes Shabbat and holiday worship, experiential learning, and family involvement. To foster creativity in and outside of the classroom environment. Our curriculum focuses on seven different categories of Jewish education: Hebrew and Vocabulary, Tefillah, Jewish Values, Torah, Israel, Jewish History, and Family Partnerships. Students gain knowledge from each category each year they are in Atid Learning Center classes. As students grow, their knowledge and understanding deepens. Family partnerships are just as important to our curriculum as any other subject. A large part of Judaism is conducted in the home setting. Parent support is important to the success of their student’s learning. 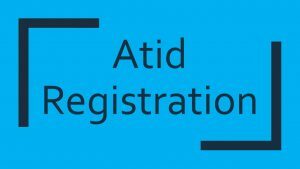 To register for our Atid Learning Center classes fill out a registration form and return it to the office. Dont Miss Out!! Visit the Atid Learning Center Calendar and the Tikvat Israel Calendar for program dates and times! !